Mechanical engineers design, build, and test mechanical devices such as tools, engines, and machines. Considered the broadest engineering discipline, mechanical engineers work in engineering services, research facilities, manufacturing industries, and the federal government. A bachelor’s degree in mechanical engineering (or mechanical engineering technology) is typically required. Many mechanical engineers also have a master’s degree or a higher degree (such as a Ph.D.) in mechanical engineering. Certain jobs in mechanical engineering also require a license. 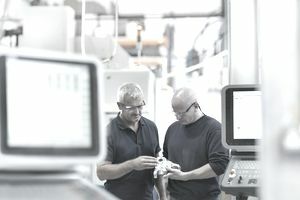 A mechanical engineer should have particular hard skills, including a strong understanding of industry standards and comfort working with computers, because much time is spent designing, simulating, and testing. In addition, mechanical engineers should have soft skills, such as strong analytical thinking and communication capabilities. According to the Bureau of Labor Statistics, 288,800 people were employed as mechanical engineers in 2016; their median annual wage in 2017 was $85,880. Career opportunities in this field are anticipated to grow 9 percent by 2026, as fast as average. This skills list has been created as a resource for you to use as you create your own personal resume, individualized to showcase your talents and to target specific job opportunities. Employers now frequently employ automated applicant tracking systems as a first stage in their candidate search process. These systems are programmed to search for industry-specific keyword phrases. If your resume doesn’t include these keywords, it may be immediately screened out of consideration. Try to use these skill keywords not only in the professional qualifications summary and experience section of your resume, but also throughout your job search process. They should be mentioned in the body of your cover letter, accompanied by specific examples of times when you demonstrated these skills in the work place. You can also use these skill words in an interview. Again, make sure you have at least one example of a time you demonstrated each of the top 5 skillsets listed here. Here's a list of mechanical engineer skills for resumes, cover letters, job applications, and interviews. Included is a detailed list of the five most important mechanical engineering skills, as well as accompanying lists of even more related skills. Mechanical engineering involves developing and designing products, which range from batteries to electric generators to medical devices. Inventing products involves a lot of creativity, as does figuring out how to bring projects home within challenging timeframes. Often, mechanical engineers develop a product for a client. They may have to explain complex machines or devices to people who are not familiar with mechanical engineering. They have to be able to explain their ideas clearly and effectively, and this takes strong communication skills. They also frequently leverage their communication talents to take the lead of mechanical design and manufacturing projects. Mechanical engineering involves lots of teamwork. Engineers often work in groups to invent technologies and solve problems. They might work with people who are not mechanical engineers, such as computer scientists or architects. They therefore need to be able to work with a diverse team of people to solve problems. Mechanical engineers need to be comfortable using math to solve problems. The math skills required in mechanical engineering include calculus and statistics. They must be adept in applying these skills to analyze problems and design solutions.